Today I've uploaded a new version of Chaos to the Android Play store, updated the Game Boy Advance and Nintendo ports and also managed to make Chaos run in your browser. Here's a bit of waffle on how I went about that last part. Over the years the remake I made of the ZX Spectrum classic Chaos has undergone about 3 rewrites. the first version I wrote for the Game Boy Advance from scratch. The Speccy version was inspiration, but it wasn't an accurate remake. All this means that the code is portable, or at least it has had its most unportable edges smushed off, currently compiling and running on 4 different platforms (GBA, DS, Android, SDL). It uses GNU autotools as the build system. This is not pleasant, but autotools has more working features than any other build system, and it makes it possible to cross-compile the code. Emscripten even has some SDL support for graphics and sound. This it achieves by cleverly translating SDL function calls to the equivalent HTML5 canvas calls and wrapping the web audio API. I assumed this all meant it would be easy to get the job done. Sadly my lack of game design chops meant it was a lot more work than I initially expected. Let's see how I made my life difficult. On the GBA you have complete control over the hardware your program is running on. As only one program can run at a time, and the GBA has no operating system to keep track of things, you can use 100% of the CPU. In fact if you aren't careful you can waste the battery by "spin-waiting" when you need to wait for input from the user or when your game isn't doing much. Spin-waiting means code that just loops on the same instructions over and over until a condition changes. It is easy to understand, but inefficient as it still executes instructions. The GBA has a way to say "OK, I'm not doing anything for a while, please turn off the processor and wait for the next video frame to tick by". In this special low-power waiting mode the GBA uses less battery, so using this technique is a good idea. On the GBA I had full control for Chaos, and I had to add these waits in when the game wasn't doing much or was waiting for user input. I wrote code that stopped wherever it was to hang around and wait for the next thing to do. Now back to game design. A classic game loop has 3 jobs - running the game logic, drawing the graphics and going neither too fast nor too slow. Things can get complicated - wait_a_bit in particular goes off the deep end when do_stuff contains complex physics models - but that's the basic idea, and for Chaos it would be more than enough. What turned out to be the problem with my code was that as well as the main loop, which was similar to the above snippet, I also had lots of mini-game-loops scattered throughout the code. Imagine what happens when you want to move a wizard off a horse or centaur. In Chaos the game stops to ask you if you want to dismount. This stopping-to-ask was another game loop stuck right in the middle of the code for selecting a creature to move. On the GBA, DS, SDL, and Android ports this wasn't much of a problem. On the GBA and DS I have full control of what's going on. For the Android/SDL ports I use threads, mutexes and signals to coordinate things, essentially emulating the way the GBA behaves anyway. Here emscripten_set_main_loop makes sure it calls your one_frame function once for each game loop at the rate you ask it. The rate here is 0, 0 - which possibly means "whenever you like". Being a lazy sod, I didn't want to have to rewrite everything. In fact, at first I couldn't see how I could rewrite anything to make the game work with in this environment. Then I thought about that previous phrase - the code would have to return all the way back to the main loop … then carry on where it was when the browser returns control - and I realised that what I needed here were coroutines. What a coroutine lets you do is yield control from the middle of a function, but when the program calls the function again instead of starting from the start of the function, it continues on from where it yielded last time. A language such as Lua has this built in with the yield keyword, making it trivial to do. In C, everyone who needs coroutines uses Simon Tatham's coroutine macros. I still had to come up with a way to call any routine that needed to wait again, and it still needed a bunch of changes. But the basics were there, and I wouldn't need to rewrite everything all at once. I came up with fake asynchronous functions - these were not really asynchronous, but the code adds each function to a list that the program would later call one by one from the main loop when this loop was ready. If the function returns 1 it means that the main loop needs to call the function again, but if it returns 0 then the function has finished and the program should take this function off the list of pending items. Coupling this with the coroutines meant I could have fake thread-like behaviour on a single main loop. I had to be a bit careful since, as with regular threads, the code could have "race conditions". If the code changed a variable after adding an asynchronous function to the pending queue, but before the main loop calls the function, then it might not do what I expected. But at least the race conditions were deterministic here, unlike regular threads which can have subtle timing problems. Another change I had to make was to switch from using SDL sound mixed in a buffer using the older API, to use the SDL_mixer library. This cut down on code, so for that alone it was a good idea, and made sound effects in the browser work without further changes! The sounds are OGG files, converted from the WAV file originals. 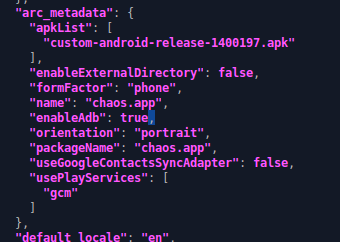 I didn't need to change the build system much for this as I was already generating OGG files for the Android version. The emscripten C compiler/linker has a flag --preload-file that creates the equivalent of a virtual drive with the contents of a directory. I have emscripten generate chaos.js, and using --preload-file sfx/ for the sfx directory creates a chaos.data file with all the generated OGG files encrusted in it. From there, using the bog standard SDL mixer API just works. Incredible. After a bit of searching and grepping, I figured out how to add this feature in, since the SDL library in emscripten almost had it right. With that SDL_SetAlpha worked and didn't slow the fading transition down to a crawl. The maintainers have since merged this change into the stable version of emscripten too. Karma++. The same code compiles and runs more-or-less identically on the GBA, Nintendo DS, Android, SDL, and now (thanks to emscripten) in the browser. 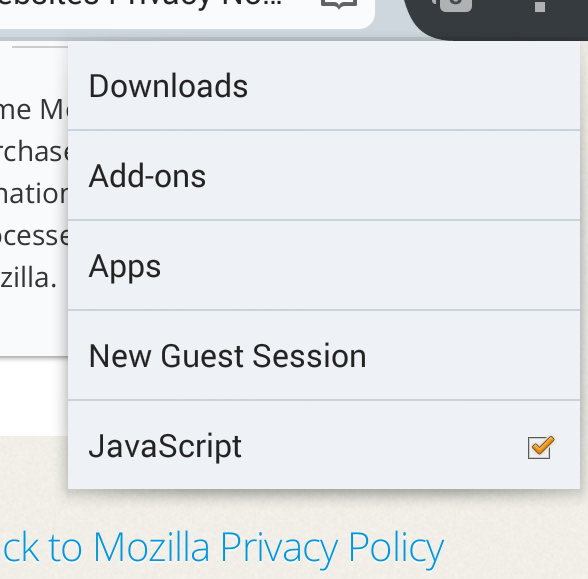 I've tested this in Firefox 24+ and Chromium ~32 on Ubuntu and Debian. It also runs on Firefox and Chrome for Android, though Chrome does not play the sound effects for some reason. It surprised me to see that the game seems to run slightly smoother on Chrome compared to Firefox, despite the advantages of asm.js. I think that this must be due to the HTML5 canvas methods performing better on Chrome/ium, as there's not a lot of CPU intensive stuff going on here.